Chaundra Evans is a registered dietitian who helps her clients build a healthy relationship with food and improve their eating habits using a non-diet approach. Sessions with Chaundra may include a comprehensive nutrition evaluation, learning intuitive and mindful eating skills, meal planning and grocery shopping trips. She specializes in working with bariatrics and teaches pre-operative seminars to weight loss surgery candidates. Her compassionate and empathetic style helps empower individuals to make healthier choices by using a more holistic approach towards their nutrition goals. Chaundra earned a BS in Dietetics, along with a Gerontology Certification, from Indiana University of Pennsylvania and she completed the accredited internship program through East Carolina University. In addition, she is certified in Adult Weight Management by the Academy of Nutrition and Dietetics and is an Integrated Health Associate member of the American Society for Metabolic and Bariatric Surgery. 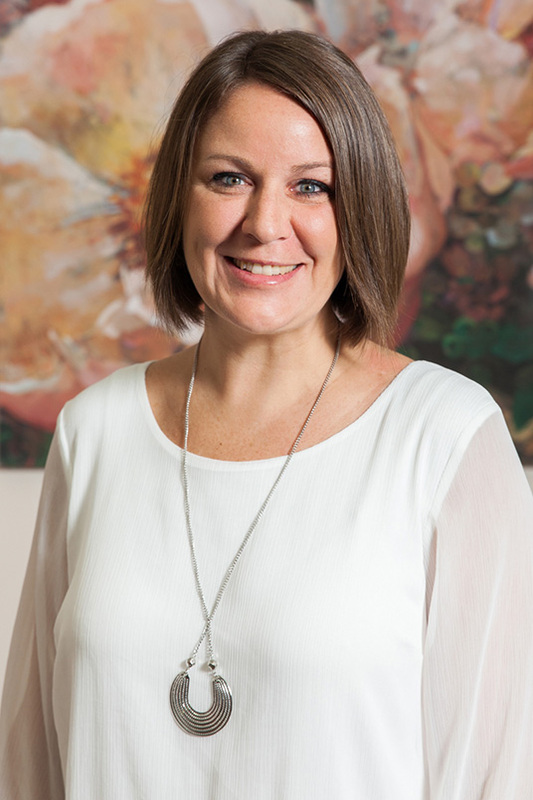 Chaundra has been recognized as a Certified Eating Disorder Registered Dietitian by the International Association of Eating Disorders Professionals (IAEDP), acknowledging high level of competence and experience in eating disorders treatment. IAEDP has also recognized her extensive clinical practice with eating disorder clients and recognizes her as an Approved Supervisor.